Cocoto Kart Online | Mac App Storeのアプリ検索・ランキング BuzzMac! Play against iPhone, iPod and iPad players - by tilting your MacBook or traditional keyboard controls! Special reduced price for the release of the Mac App Store. 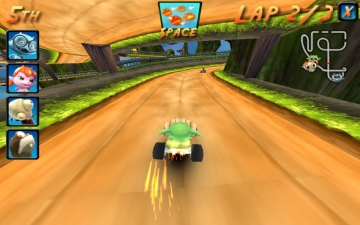 Console-quality online kart racing now available for Mac! Always players online, no waiting time! Play 10 tracks with 12 unique animated drivers, collect crazy bonuses, play the grand prix or challenge players from all over the world in the online battle mode! 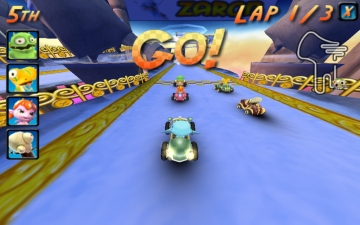 After the release of Cocoto Kart Racer for Nintendo DS, Nintendo Wii and iPhone, iPod touch and iPad, Cocoto is now coming to the Mac in an exciting kart adventure. 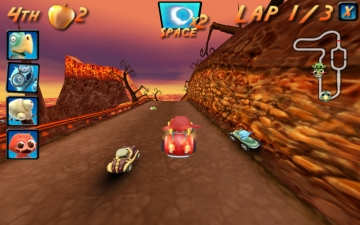 Neko Entertainment and Eurocenter teamed up to bring the most console-quality like kart racer to the Mac. 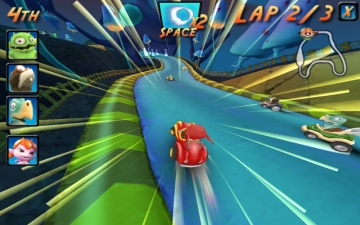 Drive in volcano worlds, in the sky, up in the trees, slide on ice, use turbos, take shortcuts by jumping over platforms. 12 unique drivers are fully animated. The online mode includes multiplayer races and battle mode where you try to shoot the opponents 3 times. Play against players on their iPhones, iPods and iPads! 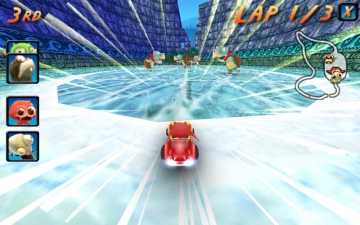 - 12 unique characters and karts with various animations for steering, accelerating, throwing bonuses etc.